A superb 5 double bedroom family house in this popular street that is within easy reach of Ravenscourt park. It has a well thought out and highly practical layout with a great finish and enviable proportions throughout. These tall and elegant houses have bays to the ground and first floor that along with the good ceiling height add to the sense of space. The kitchen has been fully extended and creates a great entertaining space leading onto the garden. The first floor master suite with ample wardrobe space works very well, and there is a further optional master suite within the converted attic. Quietly situated in the middle of Davisville Road, Askew Road's local shops and restaurants are minutes away, as are both Wendell and Ravenscourt Parks. This increasingly popular area offers a family orientated community with numerous good schools and of course the shopping and transports hubs of Hammersmith and Westfield. Close to Askew Road, parks and schools. 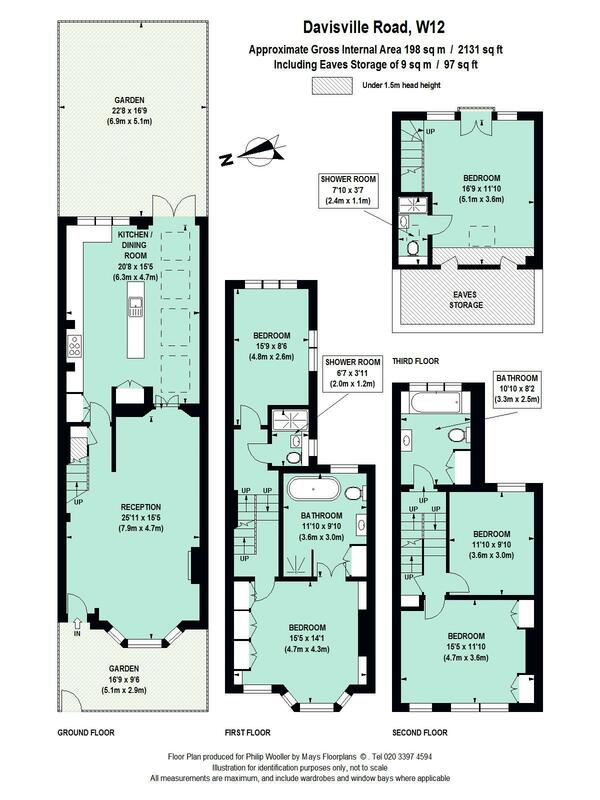 2131 sq ft / 198 sq m approx.